E-Clips Gold - Quad Band Triple Dual SIM adapter - DATA / Internet function - enabling 2 or 3 SIM cards to be active simultaneously for iPhone X.
E-Clips Gold is a 3G quad band dual and triple SIM adapter which allows to use 2 or 3 phone numbers active at the same time on your iPhone X. This adapter is the only one in the world that turns your iPhone X into a simultaneous Dual Triple SIM smartphone and allows to make DATA from any SIM card on one mobile phone. You can manage your calls, messages and data on two or three phone numbers active simultaneously from the screen of your iPhone X and centralize all data of your 3 SIMs (phone book, SMS, call logs ...) on one iPhone X. The E-Clips Gold Dual Triple SIM device is also a MiFi Wi-Fi 3G cellular Router. 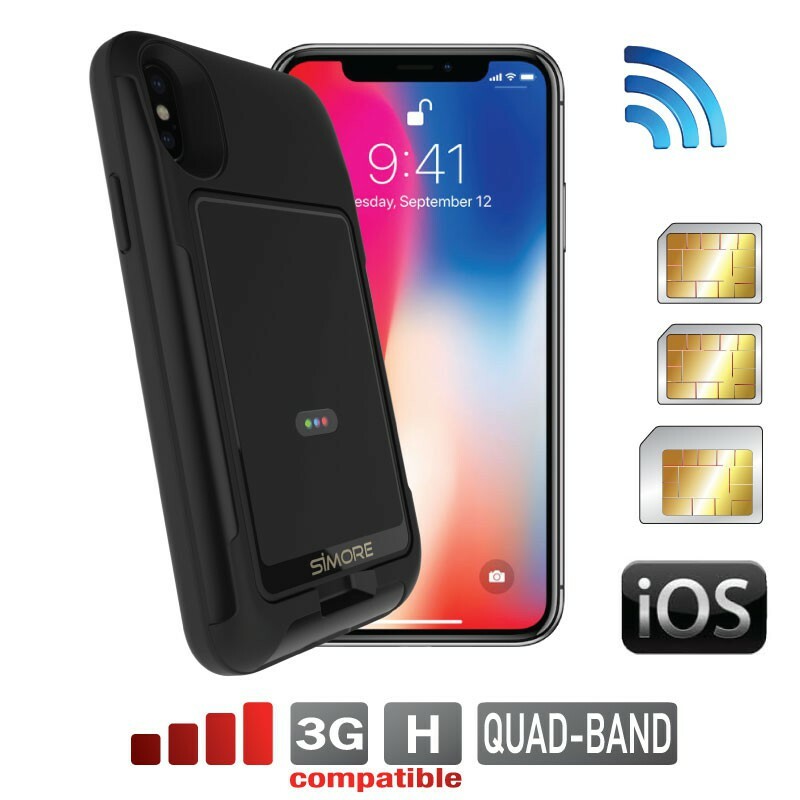 The cover E-Clips Case iPhone X-XS allows to protect your iPhone X and carry your E-Clips Gold triple dual SIM adapter on the backside of your smartphone. This case protects your mobile phone from shocks and scratches and offers a smart storage with its integrated E-Clips place. You can clip on it your E-Clips Gold triple dualsim adapter MiFi Wifi router. Design, easy to use and durable, the protective cover E-Clips Case iPhone X-XS attaches directly to the back of your iPhone X and perfectly fits the lines of your cellphone to keep access to all your smartphone connectors and ports.